By making simple adaptations to the environment, the symptoms of dementia can be minimised and the person supported to lead a full active life. The overall design of this apartment is open plan with wide door openings, level thresholds and two directional light. 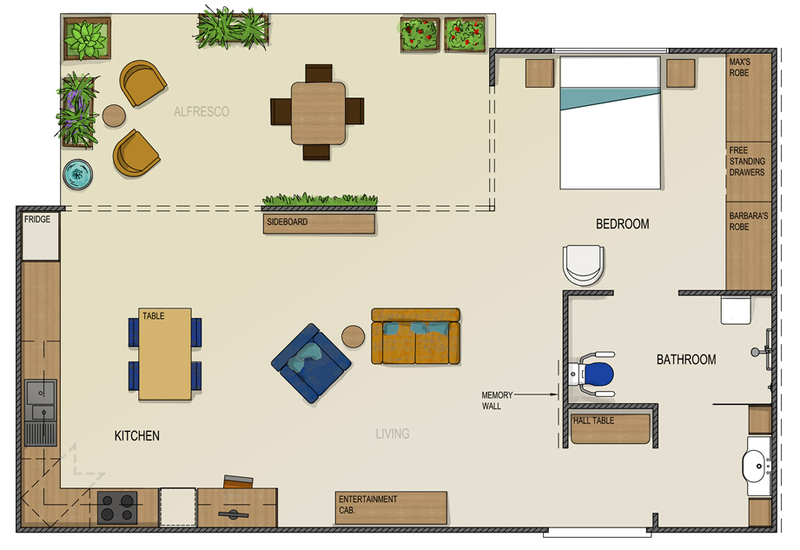 In April 2015 at the 30th International Conference of Alzheimer’s Disease, Perth, Western Australia, Alzheimer’s Australia WA in partnership with de Fiddes Design presented an apartment showcasing the latest dementia design concepts.